Are you thinking of travelling to Latin America? Do you have Latin American friends and you want to communicate with them in Spanish? Then this is the course for you! This course is at intermediate level, for students that already have basic Spanish. The classes will be taught in a participative and fun way, with a native speaking Latin American teacher. 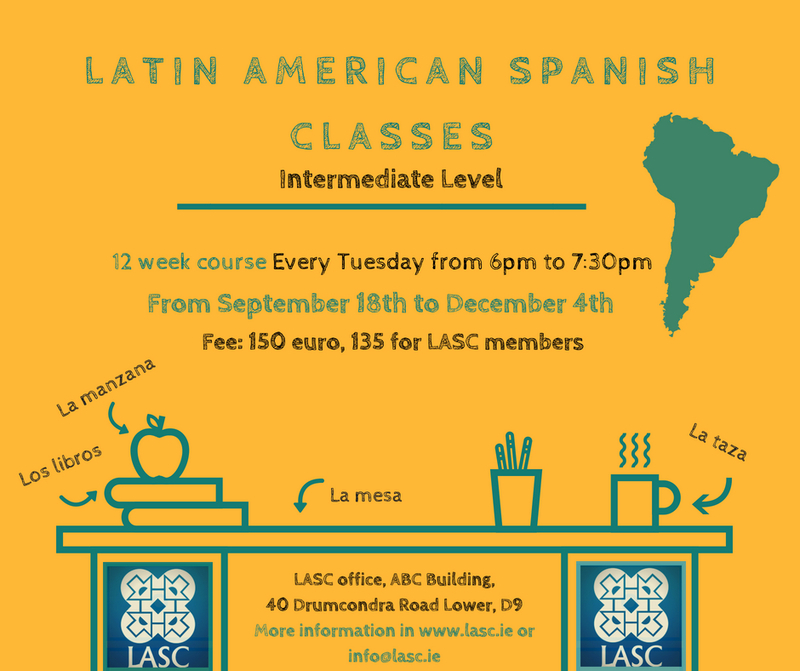 The course will run for 12 weeks, from September 18th to December 4th , every Tuesday evening from 6pm to 7.30pm, in the LASC office in Drumcondra. Cost: 150€, 135 € for LASC members.